Visit the Inuvik Community Greenhouse, home of the Community Garden Society of Inuvik and thousands of plants! 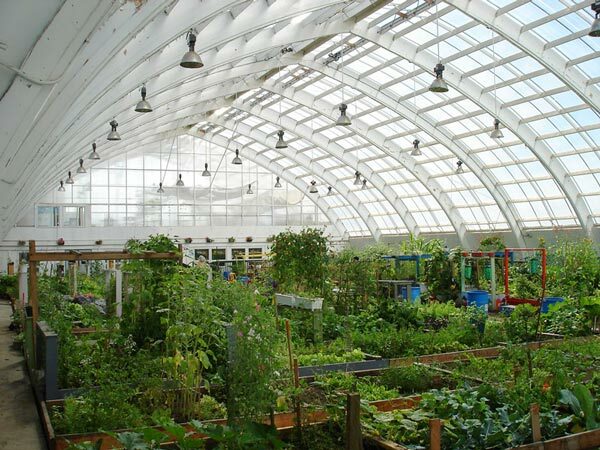 A project that germinated in 1998, the facility (a conversion of an old arena) is the most northern greenhouse in North America and the only community greenhouse of its kind in the world. The purpose of the greenhouse is to ensure a more successful harvest and allow production of a greater variety of crops in an area where fresh economical produce is often unavailable. The building houses two areas: raised community garden plots available to residents; and a 4,000 sq. ft. commercial greenhouse. The Inuvik Community Greenhouse will serve as an effective model for other northern communities. Located at the corner of Loucheux Rd. and Breynat St., behind the Igloo Church.